The 306 Triceps Dip Press Unit provides back support for the child as well as a foot rest bar which ensures proper positioning. Resistance is adjustable. Protective covering on cylinders ensures the safety of all users. Elementary model is powder coated in Fire Red while the junior sized model is powder coated in a deep brilliant Purple. Portable wheel system makes it easy for instructors to store units and/or reconfigure fitness circuits. Call 1-800-875-9145 to speak with one of our fitness advisors with any questions you may have. 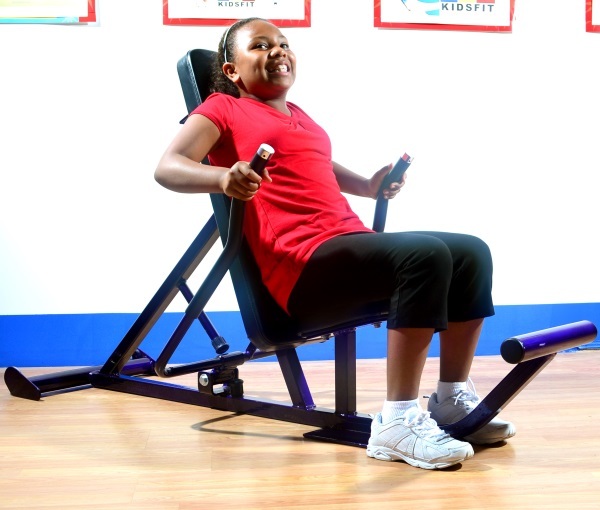 How do we put a price on our kids overall wellnes and their future - Go to FitnessZone.com today to order the Triceps Dip Press 306 Junior and let's give our kids the advantage they deserve. Order your Triceps Dip Press 306 Junior from FitnessZone.com today!